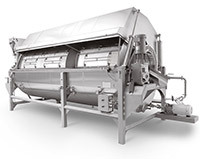 Meet the newest member of the Clean-Flow® family of continuous water cooker-coolers, designed especially for high volumes of pasta, rice and vegetables. 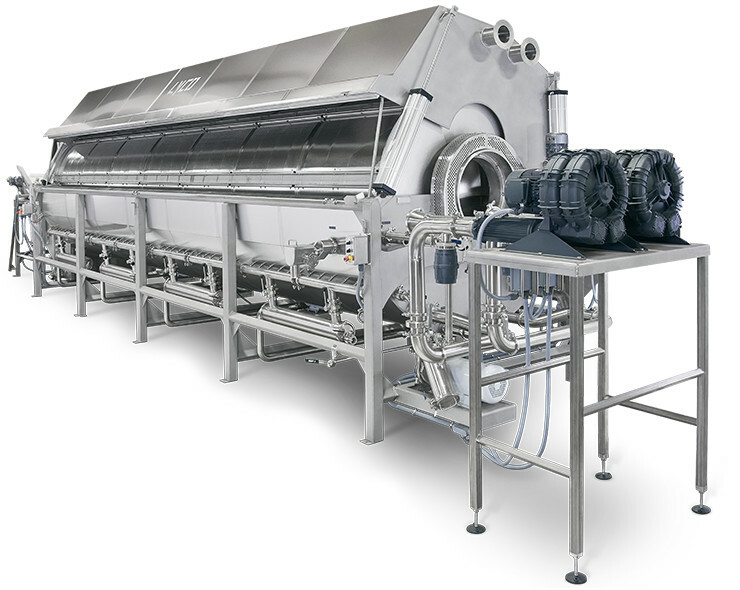 We’re excited to offer a new 60″ x 13′ Clean-Flow® that doubles the capacity of current models to 12,000 PPH of pasta in 12 minutes. 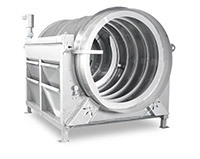 This new model features all of the impressive Clean-Flow features in a much larger capacity. 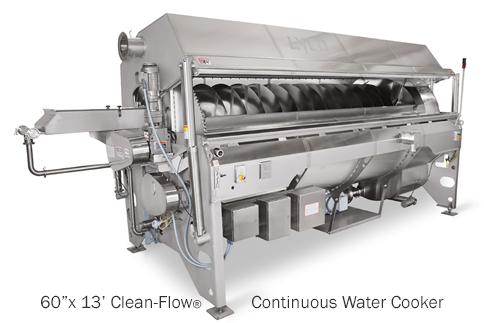 Save time, energy, and enjoy zero clumping with 15% higher recovery. 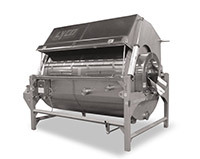 This machine is also 95% self-cleaning for fast changeovers. 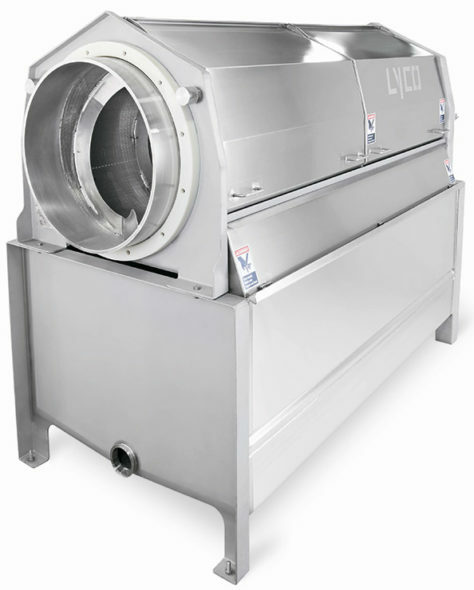 Lyco Manufacturing takes reliability to the next level with our SANITARY ZERO MAINTENANCE SCREEN design, eliminating trunnion wheels and bearings. 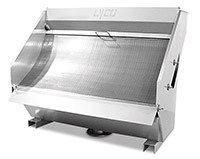 PROBLEM: Atmospheric cooking takes time. Pressure Processing reduces that time. Lyco’s Pressure-Flow® can reduce process time of most dry bean varieties by up to 90 percent and is the only system of this type in the world. 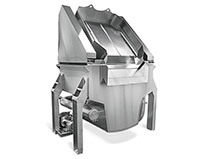 It handles lentils, rice & much more. 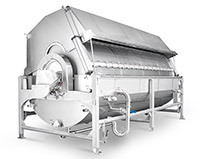 Some bean varieties can be fully cooked without retorting – increasing productivity. 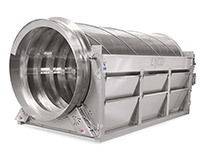 PROBLEM: Much cooling of food products has historically been done in tanks, on horizontal belts or spiral belts all of which take more time to cool than necessary. Belts are expensive to replace. 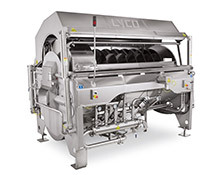 Lyco’s innovative rotating cylinder design never needs replacing and can pasteurize or cool pouched foods, hot dogs or sausages packs in half the time of static or belt systems without damage. 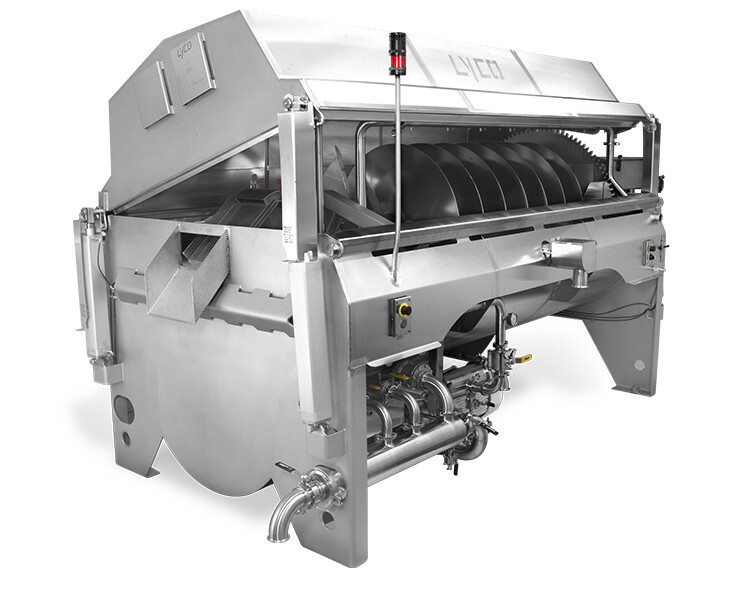 Rated the best pasta, rice and vegetable cooker in the world by Mr. Tops in Belgium. 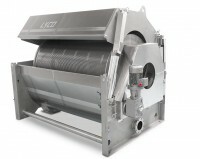 The new Micro Drum Screen advanced liquid-solid separator removes considerably more solids than standard screen designs. 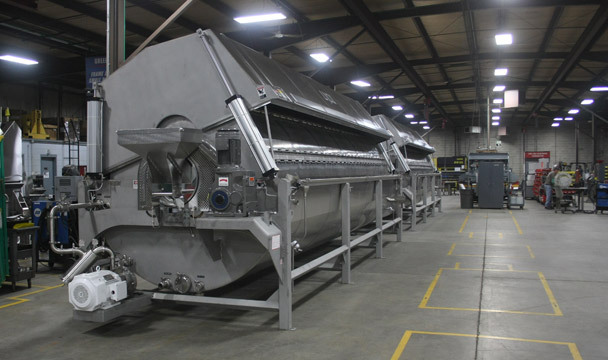 Consequently cleaner water is returned to our environment. 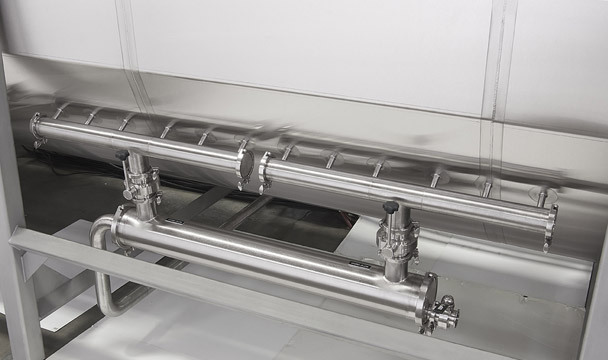 Our 5,000-square foot laboratory testing facilities can simulate actual processing conditions for blanching, cooking, pasteurizing and cooling. 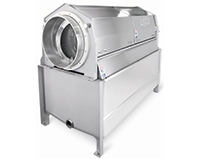 Send us your product to determine optimal machine size. Many promise world class but few can deliver. 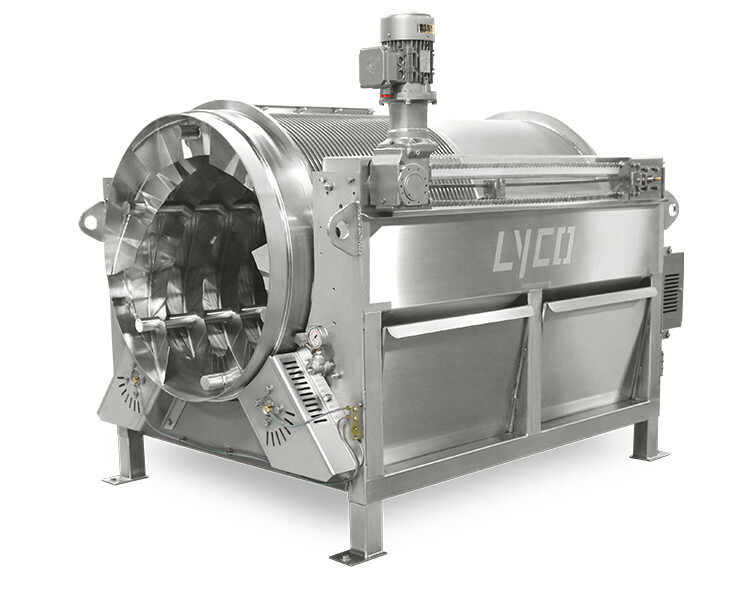 At Lyco Manufacturing we have a history of designing innovative cooking/cooling equipment for industrial food processors. 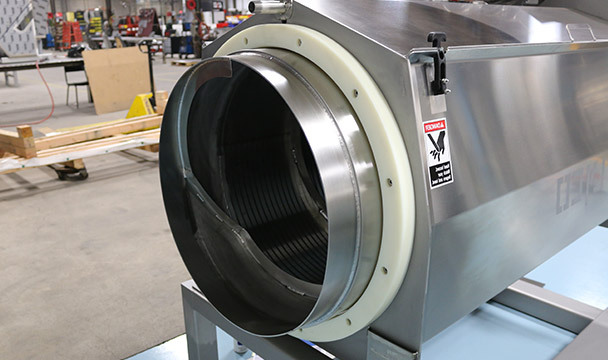 Our manufacturing process meets the highest quality standards. 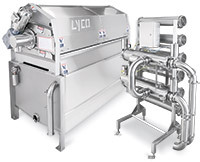 And we work from a base of extensive application experience and process knowledge of the food industry. 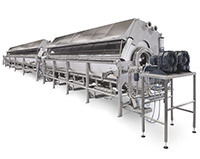 Our passion is developing the best customer-aligned innovative food processing machinery using lean manufacturing principles. 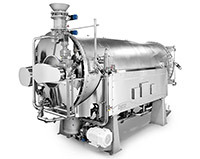 The proof of world class is in the performance and the return on investment. We feel confident of both. Give us a call.